?This is a sponsored campaign with MumstheWordNetwork and QuakerChewy. All opinions are my own.? To me, summertime is family time. Growing up, we spent long summer days playing in the backyard, going to the pool, and camping together as a family. I have great memories of that treasured family time and look forward to keeping the tradition alive with my own kids. Instead of spending the summer playing video games on the couch, my kids explore outside and enjoy all kinds of activities. One of the hardest parts is keeping them energized for all the things they want to do. That?s where Quaker comes in?Quaker Chewy helps give kids the energy they need to play. That?s why Quaker and NERF are teaming up to fuel backyard fun, helping families get out and get active together, right in their own backyard. 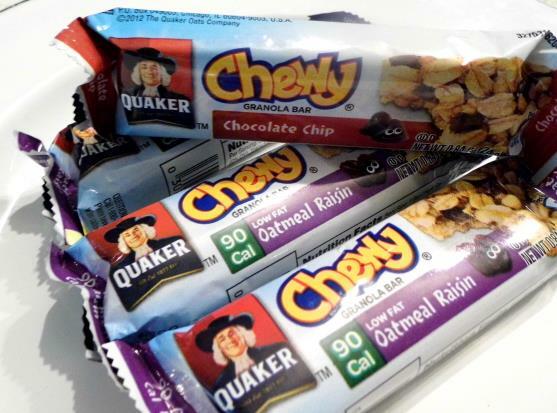 No matter the activity, we always have Quaker Chewy Bars on hand. It keeps my curious kids going and tastes delicious. 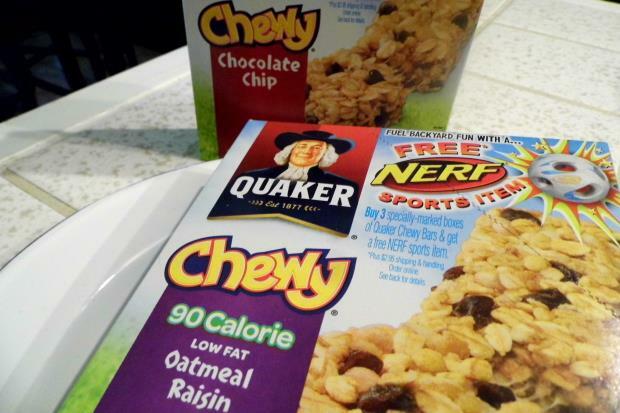 I have extra motivation to buy Quaker Chewy now, because when you buy three specially-marked boxes of Quaker Chewy, you can enter the codes online at fuelfun.quakeroats.com to get a free NERF sports item. It?s the best of both worlds?my kids get a delicious and satisfying snack and we can get free sports toys to enjoy as a family. Our summer just got a little more exciting. There?s plenty to choose from: The available items are the Nerf N-Sports Weather Blitz All Conditions Football, the Nerf N-Sports Pro Grip Football, the Nerf N-Sports Nerfoop Set, the Nerf Sports Bash Ball, and the Nerf Super Soaker Tidal Tube Blaster 2-Pack. I?m hoping for the Super Soaker Tidal Tube Blaster. It sounds like the perfect way to cool down on a hot day in the backyard. Plus they let you unleash a giant wave of soakage on your target from up to 23 feet away, so my kids won?t event see me coming! Summer is one of my favorite times of the year and a great time to spend as much time as possible playing with my kids in the backyard. Quaker and NERF are making it even easier to keep everyone together and entertained this summer. Be sure to stay connected for even more fun summer ideas with Quaker?s Twitter and Facebook pages. So bring on summer, I can feel it will be our best yet! I enjoy playing at the beach. I love playing at the parks with my family !! We like jogging and biking. We love to camp and fish together. We love riding bikes together. We enjoy spending the day at the beach. We enjoy walking and going to the beach. We enjoy camping, playing basketball and swimming. We love going to the beach and playing Volleyball and bike riding! We like to play corn hole. We like to go to the beach. Lots of hiking this time of year! I love to go for long walks with my family in order to catch up! I also love to bike! I like taking my kids to the park. I enjoy gardening, going to the park, and taking long walks. Thanks so much for the giveaway. Going to the park,, bbq’ing, and going for walks. We enjoy biking and walking the dogs. I garden, the kids either “help” or play. ( I dread their help, sometimes! They don’t exactly weed very nicely!) I power-walk while they ride their bikes. We take long walks together where they can’t ride their bikes. Some of them love soccer, baseball, etc. I love to get the kids outside for a game of badmitten. We enjoy grilling and fishing! We as a family enjoy playing bean bag toss in the summer. We love gardening, walking, and just hanging out on the deck. Walking and Frisbee are fun for us! We swim in our pool and barbecue on the grill. In good weather we like to ride our bikes all over the place. I like taking nature walks with my family. Yes, we love these in my house! Me and my son fight over them all the time, so good. My family and I love playing tennis and swimming. We love swimming and camping. We are big fans of taking the kids to the park and playing soccer. I Enjoy Bike Rides, Walks, Trips To The Park. My family loves to swim. I like barbecuing or crawfish boil. We like going to the movies. We enjoy swimming in the spring and summer time. We enjoy spending the day on the river grilling, swimming, boating, fishing. Playing baseball with my boys is my favorite. We love camping, hiking and swimming. we enjoy hiking, going to the parks. We enjoy riding bikes, playing tennis, going on walks, etc. We enjoy gardening and bike riding. going to the beach, riding bikes, scooters, walking. We enjoy playing catch, gardening together and having picnics. We like doing all kinds of outdoor activities – hiking, kayaking, biking. Anything that keeps us active. My family loves to go to the beach or go outside for a hike! I enjoy going to the park with my family. we love to lay by the pool or go swimming. we like going to the parks and pools. We enjoy taking nature walks and going camping. Thanks. Hitting up the Lake Michigan shore – once summer is underway, that part of the country really is gorgeous! We love to swim together and now is the best time and we enjoy croquet together as a family as well. We love to take the dog for walks in the park. We love camping and hiking. My family loves going to the park…. My family loves doing anything outside like going for a walk or bike ride! We love going to the park, nature center and the zoo. We like hiking, bike riding and swimming. Walking the dogs and bicycling. We love going to the dog park and taking nature walks. We like to play baseball! What outside activities do you enjoy with your family? We live on a hill and we often go hiking past our backyard. We love to play games like the egg and spoon race or simon says. We like swimming and picnics. We love going swimming, to any park, and finding new trails to explore. We like to go running! We love to go walking, cycling and swimming.